So you’ve made the decision to buy your very own Violin! Buying the correct violin for yourself or your child is an important task and one which, if done carefully will set you up for an enjoyable start to your violin journey. Knowing how to choose a violin is very important and in the following post, I’m going to discuss what to consider when buying your very first instrument. 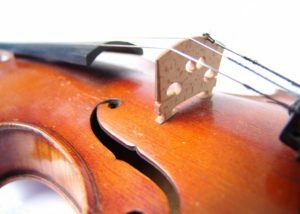 There are many brands of violin available and It’s important that you weigh up the pros and cons of each before making your final decision. Often, the best intending parents will go out and buy an expensive sixteenth size violin only to find that a far cheaper option would have been just as effective for the age and level of their child. Once you’ve finished with this post, you may want to check out some of the reviews I’ve done for instruments that my students have used in the past. In the following post, I’m going to explain how to choose your first violin and discuss the key criteria I use when selecting violins for my own students. The Dearer the Better… Right? Wrong! When I was fourteen years old, my dear old dad took a trip all the way to Prague just to buy what he thought was the best violin for his little girl. Although I still love my first full-size instrument, it is more of a display item than anything else (sorry Dad). Made in the 1800’s of the most expensive wood money can buy, this violin is a true work of art. Unfortunately, no matter what I do to it, the quality of sound I get falls short of my other instruments, many of which were found in op shops for a fraction of the price! My dad thought he was doing best by spending more money. Instead, he bought an instrument with very high antique value but low playability. A couple of years ago, a new little student of mine came to his first lesson with a brand new 1/8 sized instrument. The violin alone had cost his parents over $600 (AU) and together with the bow, case, and rosin, they’d spent well over $800! That’s eight hundred dollars on a violin which was used for under three months to play Twinkle Twinkle Little Star and Song of the Wind! Jarred’s parents bought a beautiful violin with a beautiful sound. Unfortunately, Jarred just wasn’t at the stage where he could harness that beauty and would have achieved just as well with a far cheaper instrument. People oftentimes believe that the more they spend, the faster they or their child will progress; this simply isn’t the case. If you’re just starting out, you won’t yet have the skills to play beautiful music, no matter how expensive or high quality your instrument is. Now, don’t get me wrong, I’m not saying that you should go out and buy the cheapest violin you can find; its all about choosing what’s appropriate for you and the stage you are at. Everyone is different when it comes to the brands of violin that they like and dislike. When choosing an instrument for a beginner student, I typically look for something with a warm, rich tone that will be more ‘forgiving’ towards their developing technique. I am not a fan of the brighter toned instruments as students find them more difficult to play. 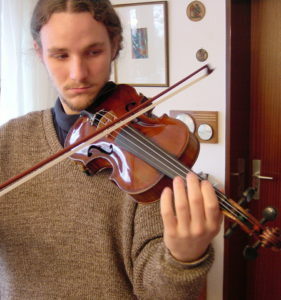 A violin that is perfect for an advanced student is often not appropriate for a beginner or intermediate player. Part of the reason behind this is that to produce a beautiful sound, these advanced violins often require very advanced technique and a strong command of differing bow pressures and speeds. These are things that most beginners or even intermediate students have yet to acquire. My Reviews are based on the personal preferences I have developed over many years of teaching students of differing ages and abilities. There are a number of different aspects that I consider and what’s best for one student won’t necessarily be best for the next. 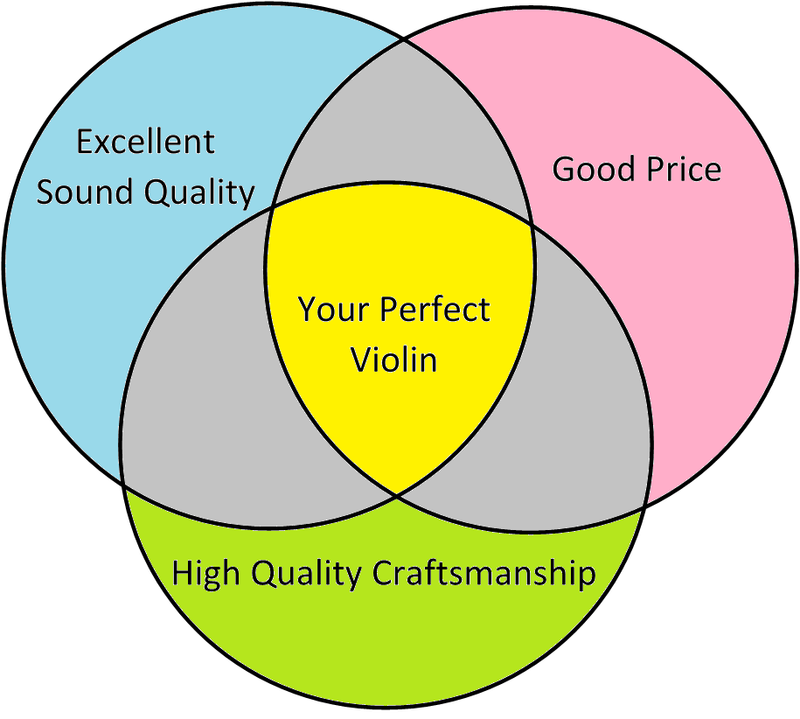 If affordability is your number one factor, you’re most likely going to be in a different market to someone who’s primary focus is sound quality; this certainly isn’t saying that you can’t get a great violin at a great price though! Fig 1. All in all, you want your first violin to be well made, affordable and also give you a great quality of sound. 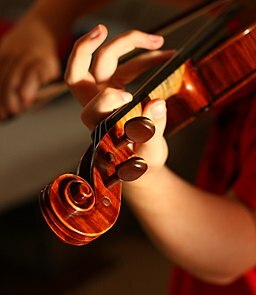 Sound quality: As a violinist of any age or ability, you want to create the best sound you can. As I’ve outlined above, there’s no use having a really beautiful instrument which will take years to master; you want a good sound as soon as possible. To assess sound quality, I have not used my own playing but instead drawn my conclusions from beginner students, whose skills would probably be similar to yours. Keep in mind that even within the same brand and model, sound quality will vary from violin to violin. Also, note that larger sizes are often not as ‘nice’ to listen to as their smaller counterparts. Quality of Craftsmanship: There are certain physical attributes of a violin that will add to or detract from your overall playing experience. For example, while a ‘sticky’ neck doesn’t usually create problems in first position, once you start shifting, you’ll want something smooth and easy to navigate. The shape and weight of your violin will also contribute to your playing satisfaction. The tailpiece, bridge and pegs are also really important here. If they are low quality, you’re going to need to replace them at some point and that can cost more than the violin is worth. Affordability: Price is important and I want to guide you on whether or not I think you’re spending wisely for the quality you get. Please remember that my beginner reviews are just that; reviews of violins suitable for beginner students. If you’re more advanced, a beginner instrument will likely not suffice so please take this into account, particularly when assessing affordability. Thanks for this Marketa! So the look of the violin isn’t related to the sound quality? That’s useful to know! Your reviews look good! Sometimes the most awful looking violins sound the best. Of course it’s human nature to be attracted to the violins that look the nicest but sound quality is the most important feature.